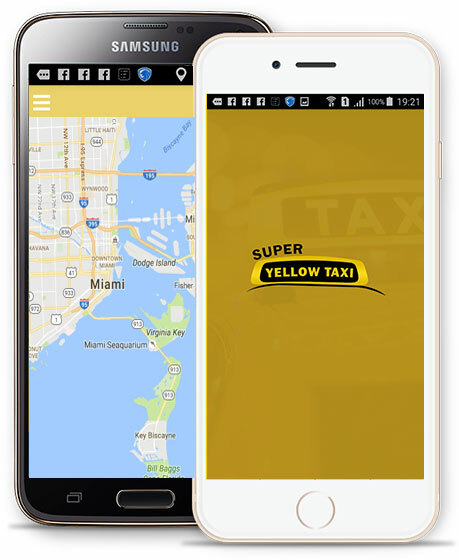 Super Yellow Cab has been providing taxi services to residents and visitors around Miami-Dade since the year 1977. Our taxicab company is committed to provide the best up-to-date technology and practices to ensure a valuable, and rewarding ride. We have over 500 taxi vehicles in-service and available at any time to cover all over the greater Miami, Florida area, and provide a 24 hour service for your convenience. At Super Yellow Taxi, Customer satisfaction is our main goal, we certainly welcome the opportunity to earn your business, by delivering the best possible service, guaranteed by 40 years of industry leadership, excellence, and professionalism. We are confident that by using our services we will gain your trust to make us your first choice for taxi service!